National Live Scan Association certification courses, online training and their advanced educational curriculum continues to grow. National Live Scan Association (NLSA) is set on being the #1 direct source to learning more about the Live Scan Certification Classes, Biometrics Training. These workshops have been designed to assist those that seek to learn more about the Live Scan Fingerprinting industry from on how to get started to growing and developing an effective Live Scan Fingerprinting Business. 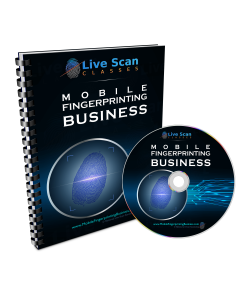 The Live Scan Fingerprinting Business Training Programs are catered for the new and “not so new” Live Scan Fingerprinting industry. Workbook, printed handouts and/or digital materials. Coffee and morning/afternoon snacks breaks. Four additional hours of back‐office “shadowing”/sessions. National Live Scan Association’s Exclusive Membership Package (6 months). Class sizes for the National Live Scan Association certification courses are typically kept small. Please visit our General Information section to learn more. To register by phone or for additional information, contact us today at (888) 498-4234.